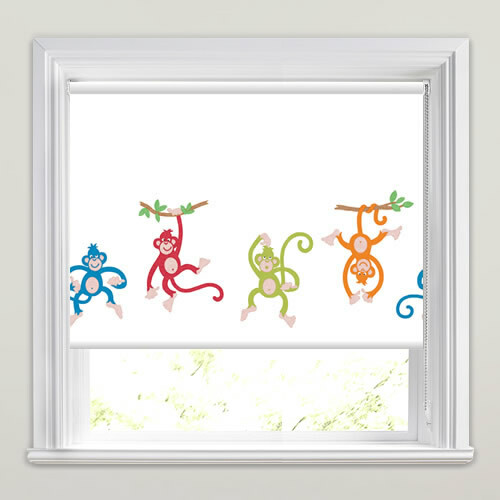 These simply adorable cheeky chimp’s patterned blackout roller blinds are the perfect way to bring a touch of fun to a kid’s bedroom. 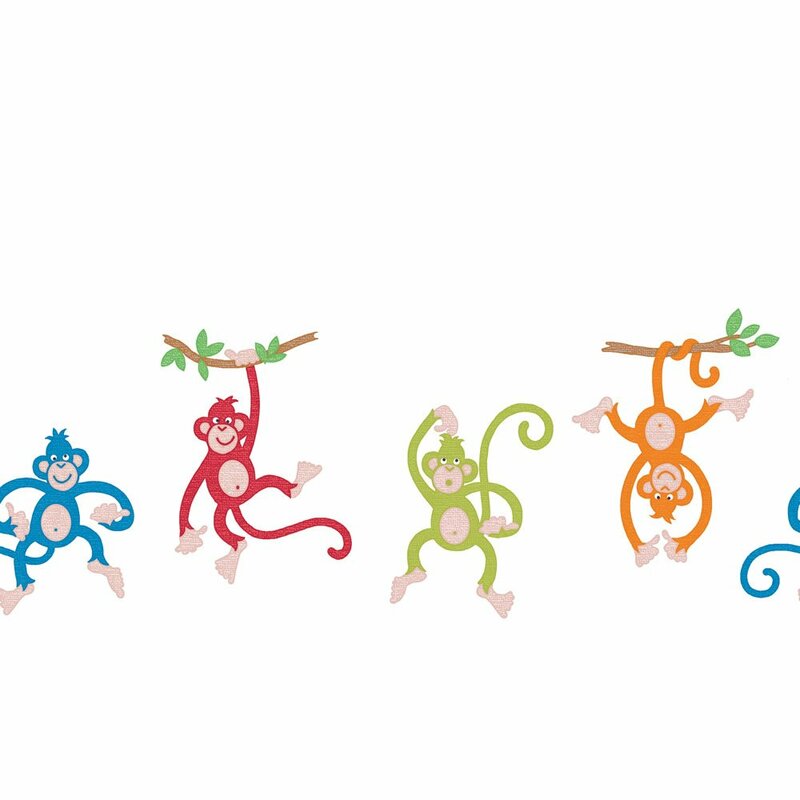 They feature playful monkeys in rich tones of orange, blue, red, green on a fresh white backdrop. Blind: excellent. Colour: perfect. Fit: great! A definite five-star rating. 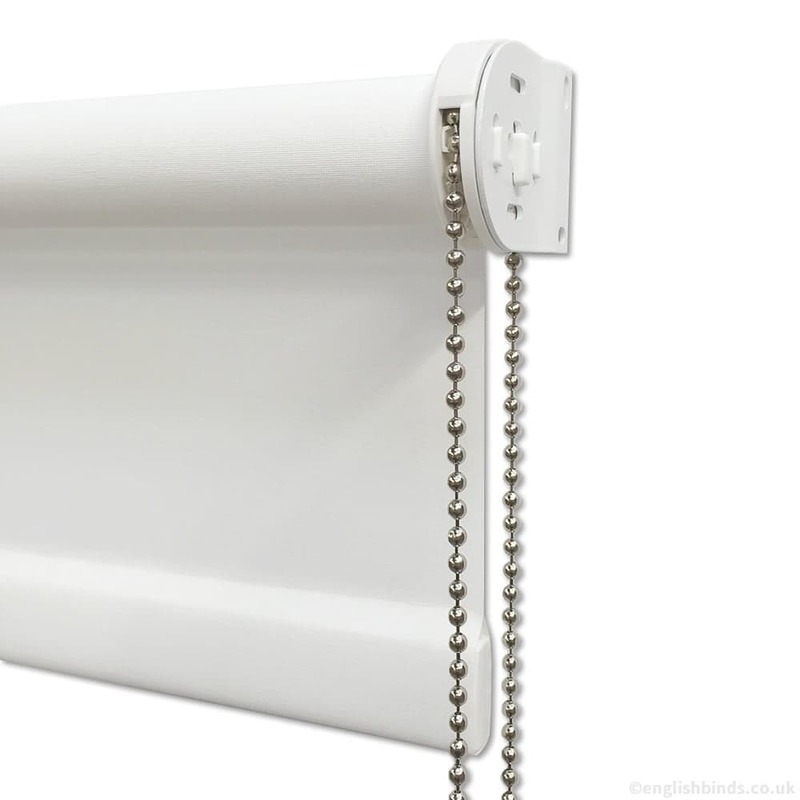 Excellant product, brilliant service and delivery on time. We will definitely use this company again. AND...it is so great to support a British company! 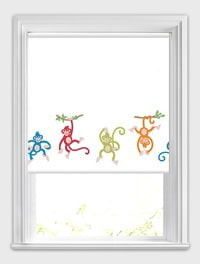 Love my blind. 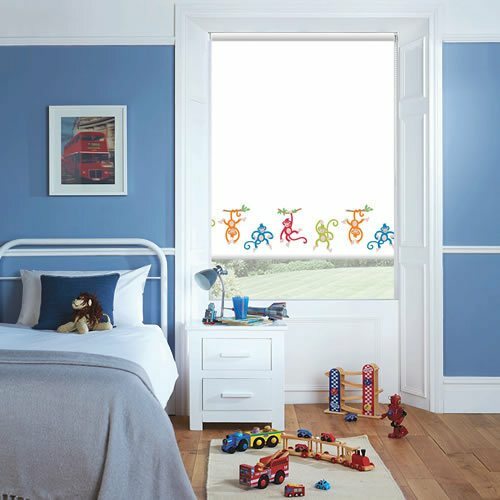 Had to have a roller blind made as the window is so big. It was a perfect fit. Delivered in good time and well packaged. Good instructions to help with fitting. Would certainly order from you again. 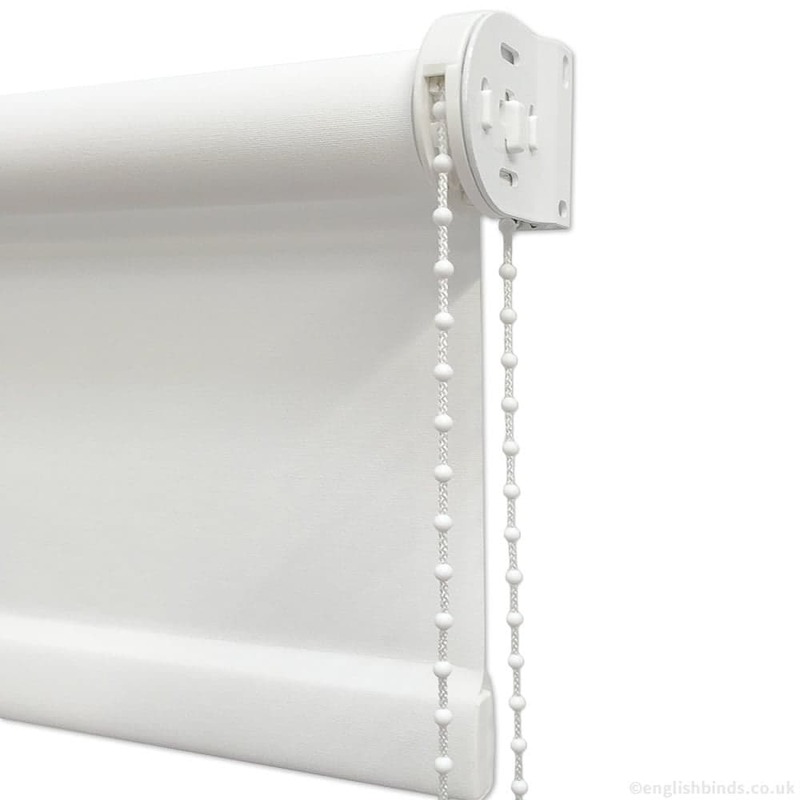 They blinds look amazing and are extremely good value for money, I love them!